Photo courtesy of Stephanie Maysonave. Alex Rosenberg is a multi-faceted performance artist hailing from the San Francisco Bay Area and based in New Brunswick, New Jersey. Alex was one of those kids who would dance to practically any music that was being played. When he was two and a half, his mother enrolled him in a dance class and was told after the class that he had excellent sequencing skills and that he could make a great dancer. In 2006, everything changed. Alex was taken to see Thoroughly Modern Millie at the local high school and was immediately hooked into the world of musical theatre. He made his musical debut in Seussical in 2007, and has been performing ever since in a variety of different shows, ranging from classics like The Music Man to contemporary hits like Avenue Q, RENT, and The 25th Annual Putnam County Spelling Bee. Alex graduated from the Mason Gross School of the Arts at Rutgers University with a Bachelor of Fine Arts (B.F.A.) degree in Dance in May 2017. 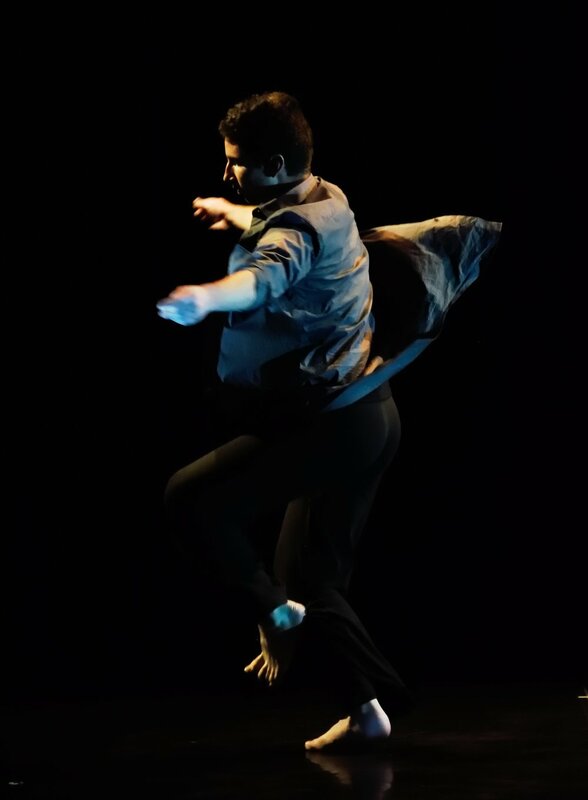 During his studies, he worked with Julia Ritter, Randy James, Paul C. Ocampo, Meghan Frederick, Kim Gibilisco, Frederick Curry, Taryn Vander Hoop, Jennifer Sydor, John Evans, Chien-Ying Wang, Keith Thompson, Blaire Ritchie, Brittany Engel-Adam, Dylan Crossman, Miki Orihara (former dancer with Martha Graham Dance Company), Talli Jackson and Jen Nugent (Bill T. Jones/Arnie Zane Company). Additionally, he has trained in lighting design and stage management with Mark O'Maley and Joshua L. Schulman. Off-stage, Alex keeps himself busy as the Media Director at Zelda Universe and as an Affiliate streamer on Twitch. If the countless hours of watching movies and playing video games have taught me anything, it's taught me that all media depicts the same aesthetic: life in motion. Whether it's in the depths of outer space in Star Trek, a dangerous Deathclaw in Fallout 4, or just two people talking in a Starbucks, possessing a physical existence in the world naturally evokes movement. Even in video games when everything is digitalized, every character and enemy model has to have a specific way of traversing through space, as well as possess specific little nuances (next time you boot up your copy of Grand Theft Auto V, don't touch your controller and observe the idle animations for your character). In this modern age of cutting-edge technology, everything can connect to movement, regardless of sentience and whether or not they are visible to the human eye. I am interested in deconstructing current media and technology down to a series of movement principles to create work (either performed live or produced as films) that not only references the culture, but also comments on it as a way of showing the complexity of modern existence through technical and natural movement. Life never stops. Art should reflect that.